Beam antenna pointing to an area, the ISS will pass. Ready for recording (I used the record function of my TH-D74 for it) otherwise the soundcard will do. The most important goal was to record the signal in a good quality. The decoding can be done later using the sound file. After everything was prepared I just had to wait for the ISS. 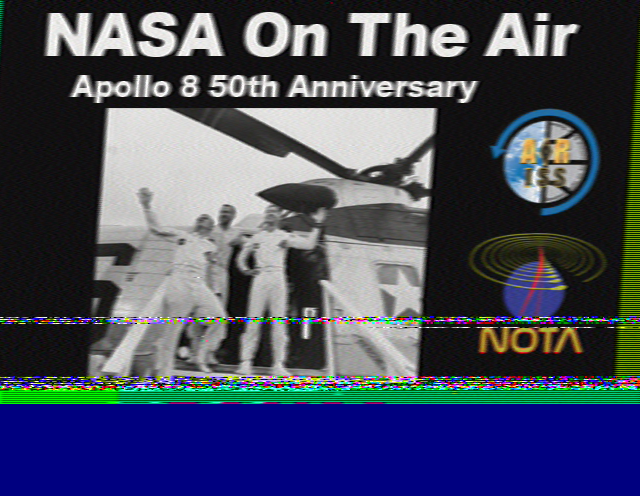 Shortly after it was above the horizon I heard a strong SSTV signal which was automatically recorded to the micro SD card of my radio. 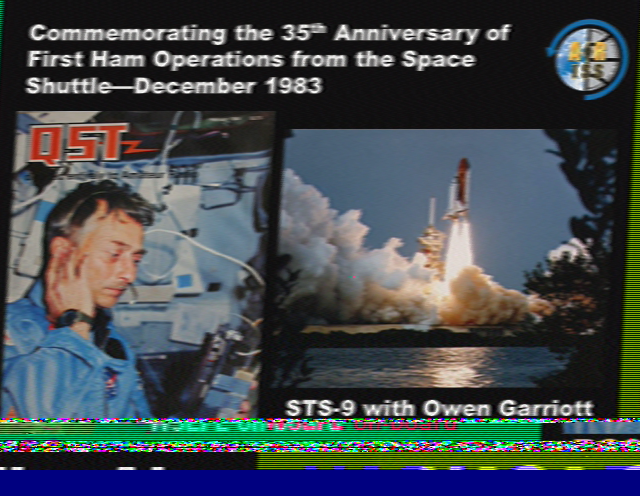 After that I used the software “qsstv” (http://users.telenet.be/on4qz/index.html) on Ubuntu Linux for the decoding. The software allows several options how to read the input file. I first tried to read from the file directly, but it did not work. (Later I found out, that the software expects a sample rate of 48000 for the wav file). The second option was to read the audio from the soundcard. So I played the .wav file using Audacity (https://www.audacityteam.org/) and used the mixer “pavucontrol” (https://wiki.ubuntuusers.de/pavucontrol/) to define the output from Audacity as an input for qsstv. And suddenly it worked! 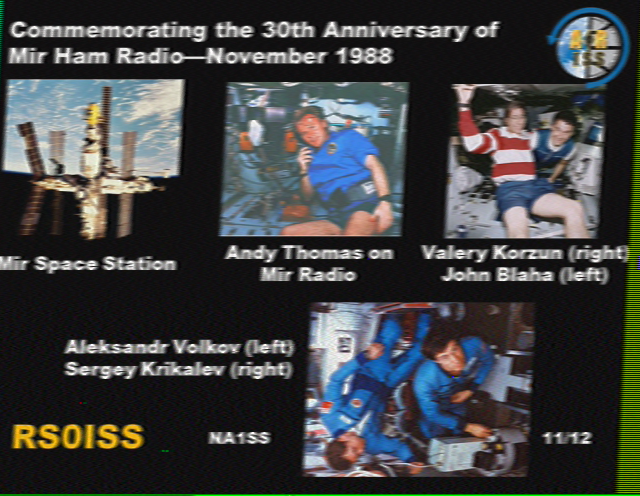 And here they are: My first received SSTV pictures from space! 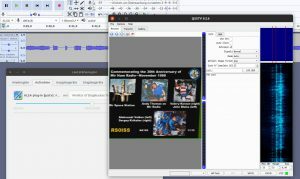 After that I was able to load and process the file directly in qsstv without using audacity to play the file. This entry was posted in English, Satellite by DK3ML. Bookmark the permalink.